The Glock pistol is an amazing firearm. I happen to own 3 Glocks…G17, G22 and a G21. They are extremely reliable BUT it is beneficial to keep them clean and lubricated. So what do I use? And why? 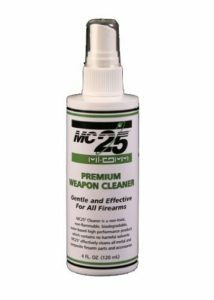 There are 2 gun cleaning solvents that I would consider to be the best for the Glock pistol. They both remove fouling extremely well when they are allowed to soak for 10 minutes or so. They don’t evaporate like some solvents which allows them to soak into the powder residue and loosen it, so it’s easy to remove. Clear color…won’t stain clothing etc.